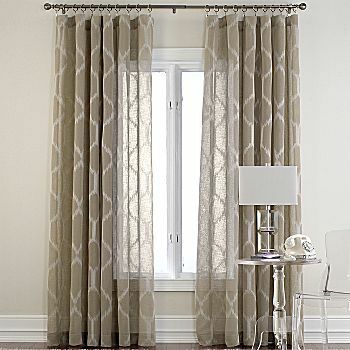 jc penney ikat curtains - who knew? n a search for curtain panels for a client, we found an alternate source for the stunning ikat ogee curtain panels we’d seen at West Elm. A similar style can be found at — of all places — JC Penney. The best part is that the 84” size is only $35 at JC Penney compared to $74 at West Elm.